SURPRISE NUMBER TWO: for more Spanish language content, Spanish language webinars, and more resources, today we’ve also launched a new website: ¡ADELANTE! EMPRENDEDORA. Read the book, visit the new website, share both with your kids, your spouses, your cousins, your tias, everyone! The time is NOW for every single one of you to become self-made. 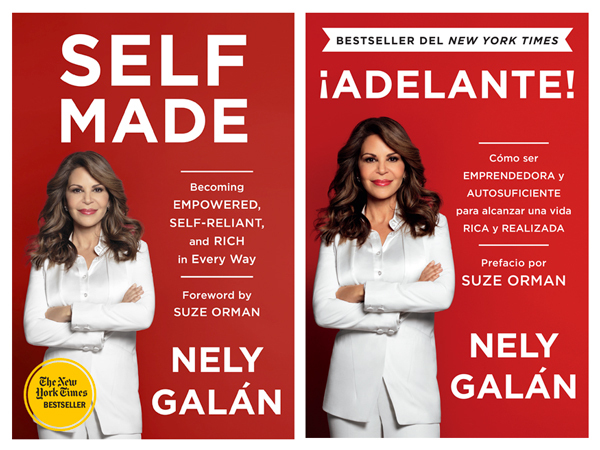 As I told you last week, our partner, Coca-Cola, is doing an incredible retail roll-out, which means the book will not only be available in regular bookstores, but also at select retailers such as Wal-Mart. The message of ¡ADELANTE! is about empowerment for not only women, but really for the whole family. During the last few weeks, I’ve been all over the country meeting so many of you! 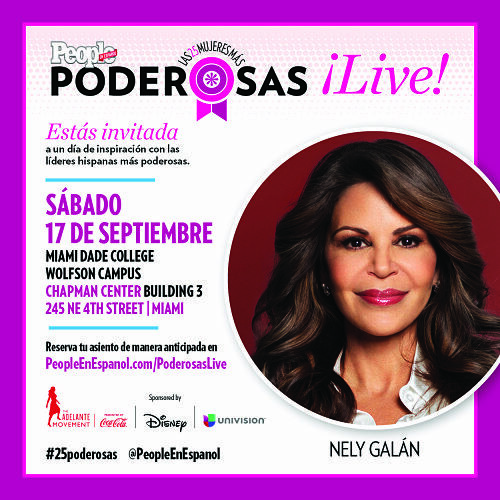 I was in New York, Houston and Seattle, and next I’m off to Miami, where on Saturday, Sept 17 we’re inviting you to the People en Español Mujeres Más Poderosas LIVE event at the Miami Dade College (Wolfson Campus); we’re having an Adelante Movement workshop presented by Coca-Cola there, which is free. Also, Books & Books, the number one bookstore in Miami, is hosting a book reading and signing that same weekend (exact details coming soon!). Please check in with the website for all my appearance dates - I’d love to see you in person! And there’s more! Very soon we’ll be launching a brand new and improved The Adelante Movement website in both English, TheAdelanteMovement.com and Spanish, ElMovimientoAdelante.com. I’d like to end by saying a heartfelt thank you. Thank you, my hermanas of the Adelante Movement, for inspiring me to embark on this journey; for constantly reminding me of who I am; and for pushing me to pass the torch not only to you and to my own family, but to Latinos and Latinas everywhere.